These fancy cards are a unique way to spread some joy this Christmas! 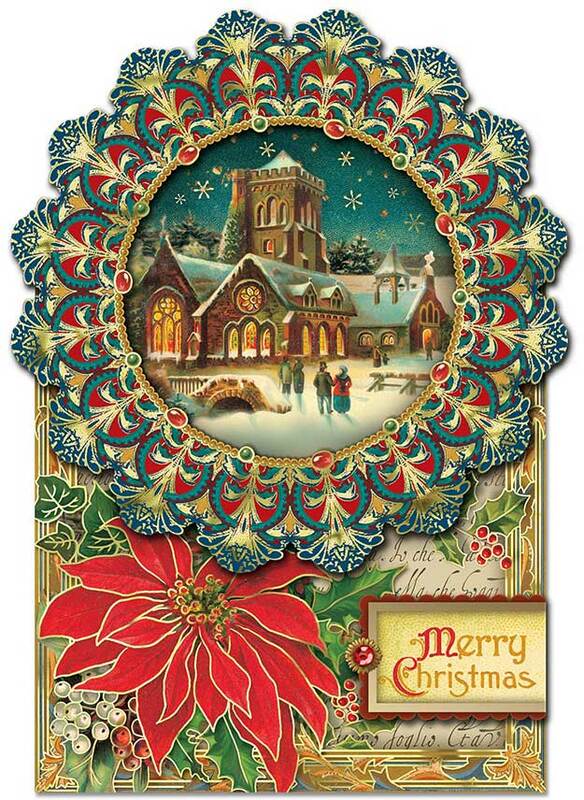 Each shaped card features a lovely scene of a cathedral on Christmas Eve, warm light glowing from its stained glass windows as people gather outside in the snow. 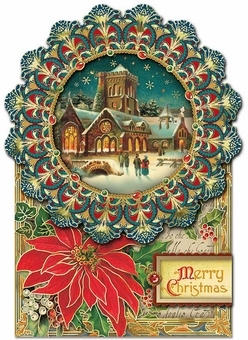 Around the image are designs reminiscent of the windows, and below that, poinsettia in bloom and the message of "Merry Christmas". A gem and gold foil add some shine to this classy card!